You could easily go to DAFont.com and get a cool, broken font. However breaking the text manually is way more rewarding and you get to make it exactly how you want. 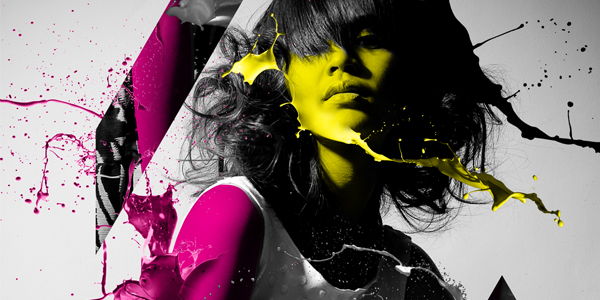 This tutorial will teach you how to create some text, manipulate it and break it up. After that we will make it look fresh! Start out by creating a new Photoshop document. Make the size 800 x 600 pixels. 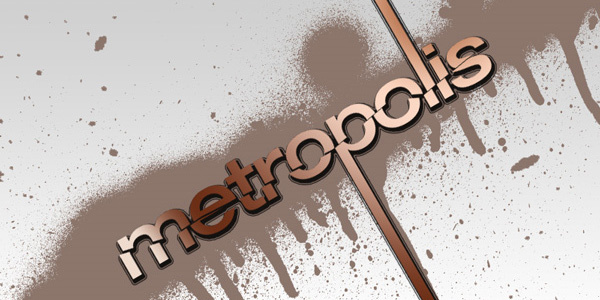 Using the Horizontal Type Tool, type the word metropolis. Select the Polygonal Lasso Tool and select the top portion of the metropolis text layer. When you are going over the the middle of the text, make slight spikes by going up an down. When you are done connect back to the beginning to make it a selection. Go to Menu and choose Edit > Free Transform to bring up the transformation box. Hold down the CTRL/CMD key and move the top right of the box over to the right and then release Control key. While the top portion is still selected, move the text up and over to the right with your arrow keys. This will break the text up. Drag the Middle-Bottom box downwards, all the way to the bottom. This will extend the p.
Now deselect everything and go to Edit > Free Transform. In the Options toolbar, change the rotation to -30 degrees and click on the check mark to confirm. With the Gradient layer selected, choose Layer > Create Clipping Mask. Now set the layer mode to Lighten. With the Marquee Select Tool, select everything just above where the l line ends. Now go to Image > Crop. 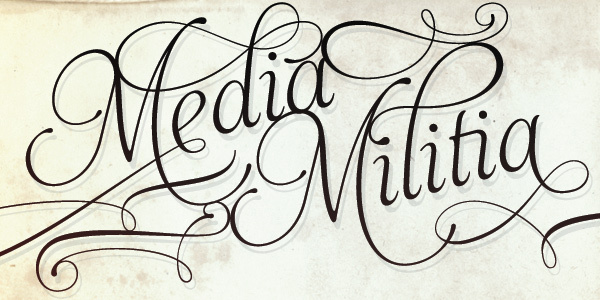 I used a spraypaint image from Media Militia’s Freebie section. Download it here. Once you downloaded the Zip file, open 4.jpg inside of Photoshop. Click on any white part of this image to select all the white. Now go to Select > Inverse. This will select everything but the white. Go to Edit > Copy and go back to our main document and Edit > Paste this into the document. Name this new layer Spray paint. Go back to the spray paint image and copy and paste it again into your main document. Keep it at 100% scale and put it where you feel fit. Now put a Color Overlay with the same color as in the last step (#8b756b). Your done! Thanks! Nice flow to the tutorial. I like this website. Just found this site and i like it so much. Thanks for the tutorial, i think ill try it on the weekend. Your welcome! I am glad you like it! I really love this site!!!! Great work !!!! !1 Carry on…..